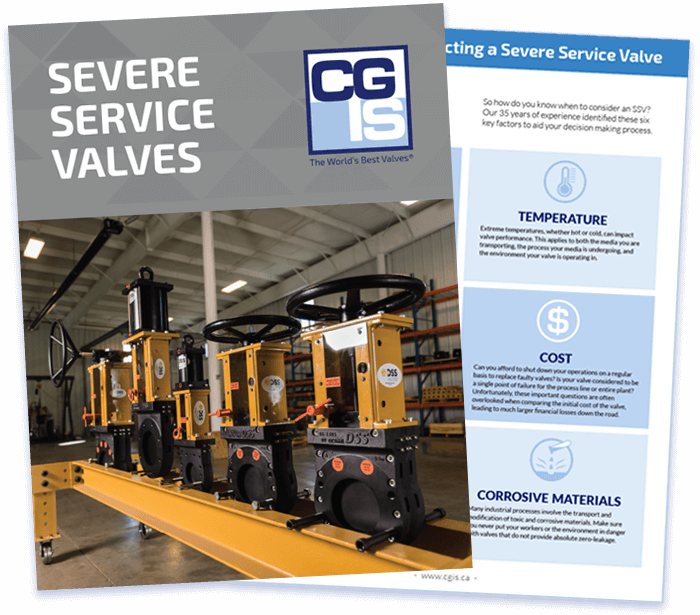 Free guide to Severe Service Valves (SSVs)—Download it here! The term Severe Service Valve (SSV) is commonplace in the industrial valve industry. The problem is, no one really knows exactly what it means. Acting as the SSV task force leader for the Manufacturers Standardization Society (MSS), CGIS is at the forefront of establishing the benchmark and rating system to identify what constitutes a Severe Service Valve, and how it differs from a General Purpose Valve.